Outside the entrance to the Magic Kingdom. Can you tell how excited I am? A little over a month ago, my family took our first vacation in almost 10 years. Before you gasp at how long it's been, don't worry -- we see each other quite often! But we just hadn't taken a trip together since 2003. 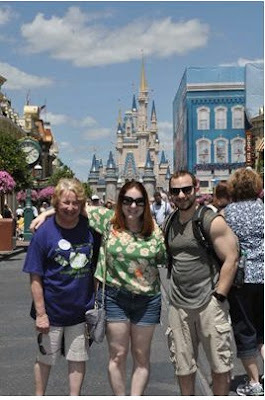 In any case, the three of us decided to plan a fun-filled vacation to Disney World. Below, my list of the top 10 musts I recommend for anyone taking a trip to the happiest place on earth (and a few pictures along the way!). 1) Take advantage of the FASTPASS. Don't want to wait in line for Soarin' for over 80 minutes? (We did wait this long, unfortunately, but don't repeat our mistake!) Plan your day at any of the Disney theme parks accordingly by getting a FASTPASS for the rides with the longest lines. These timed tickets cut your wait time to almost nothing, letting you skip the entire line and head straight to the front. Definitely a time saver and the perfect way to make the most of your trip. 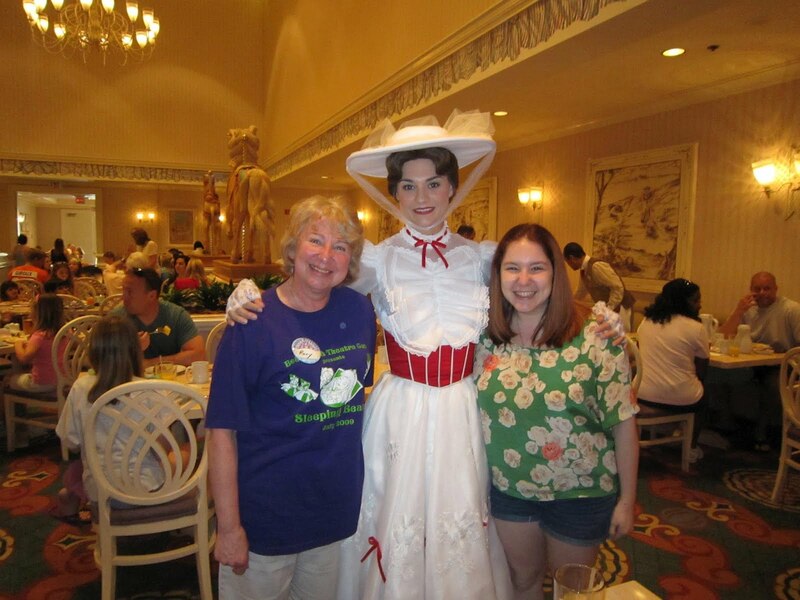 Is there anything cooler than getting to have brunch with Mary Poppins? She even told us she had a spoonful of sugar that morning! 2) Have at least one character dining experience. You may think it's cheesy to dine with Mickey, Minnie and all their pals, but I'll tell you something. Disney World is the happiest place on earth because you can act like a kid no matter what your age! My family went to the Grand Floridian for a tea party with Alice in Wonderland, the Mad Hatter, Mary Poppins, Winnie the Pooh and Tigger -- and it was worth every penny! It's just really fun to see the characters come to life, whether you're 6 or 60. 3) Go to the Bibbidi Bobbidi Boutique. 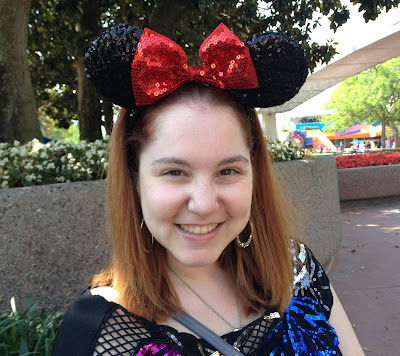 While I missed out on the boutique this time around, I went the last time I was in Disney World (check out the picture of me with my classic Disney Princess 'do) and had an absolute blast. It's only $45 to get your hair done, and it's even finished with sparkling fairy dust! 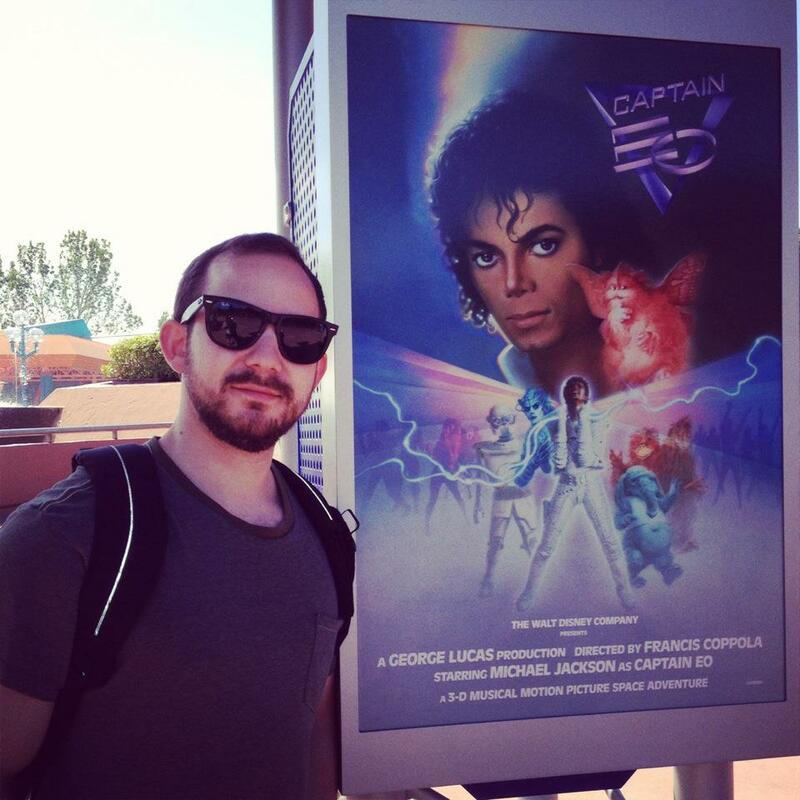 My brother, Evan, outside Captain EO. 4) Don't miss out on Captain EO. That's right -- the 3D movie starring Michael Jackson is back and better than ever at Epcot! Truth be told, my family may have gone more than once, since we're big MJ fans. The Francis Ford Coppola directed movie even features a rough cut of "Another Part of Me" at the end, which I had completely forgotten about. It's still just as fun to watch as it was back in the 80's! 5) Watch the Main Street Electrical Parade at the Magic Kingdom. This parade is luckily back on Main Street every night and it's still just as exciting as it was when I was a kid. It's really amazing to see all of the characters done up in lights, especially Elliott and Pete from Pete's Dragon! 6) Buy a pair of mouse ears. As I said before, Disney World is the best place to act like a kid! 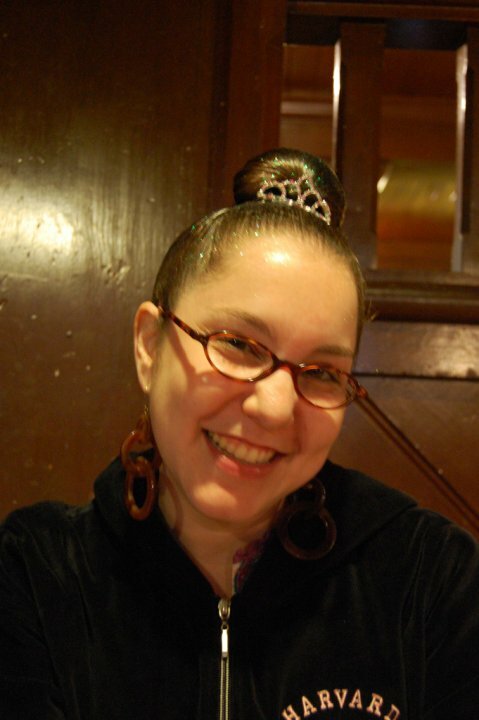 Where else could you wear mouse ears on your head and not look stupid, right? This time around, I chose a sparkly pair with a red bow, which I bought at The Chapeau (a little store tucked into the corner of the Confectionery on Main Street). And, just an added tidbit of info, it's one of only two places where you can get your ears monogrammed in the park! 7) Stay at a Disney resort. 8) See every single fireworks and light show. My family made sure to catch the shows at the Magic Kingdom, Epcot and Hollywood Studios, and we loved all of them! Each show has its own flavor, and in true Disney form, they make you extremely happy. 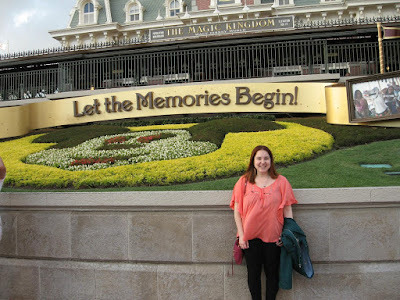 Wishes at the Magic Kingdom was definitely our favorite (mine especially, as it features the voice of my favorite Disney character, Jiminy Cricket!). But the shows at Epcot and Hollywood Studios (IllumiNations and Fantasmic!, respectively) are both incredible. 9) Ride the Tower of Terror and Rock 'N Roller Coaster at Hollywood Studios. If you're looking for a level of thrill you just can't get from It's a Small World, these two rides deliver. The Tower of Terror will make you scream your guts out while appreciating the finer points of The Twilight Zone (no matter how many times I ride it, I can't help but shriek as the elevator car drops). The Rock 'N Roller Coaster features songs by Aerosmith and a fun ride through the dark. 10) Don't miss the Peter Pan ride at the Magic Kingdom. Want to feel like you're flying? Step into a kite and enjoy the wonderful world of Peter Pan from up above. This is one of the truly magical rides at the Magic Kingdom, and brings a smile to my face each and every time I ride it. I want to go there again!!! Love your write up! Love your write up. You're so cute! I LOVE that you got your hair done at the Bibbidi Bobbidi Boutique last time! Adorable!! Can't wait to see you tmrw! Yes, all of Disney is the happiest and the most amazing place on earth. Include Disney Fantasy Rides as well.